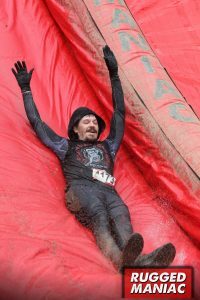 The Rugged Maniac obstacle course race is an amazing experience. 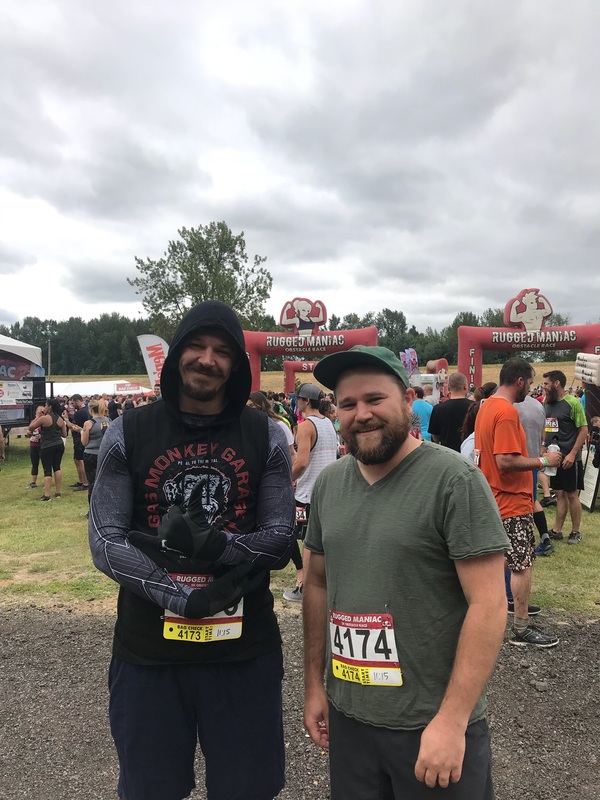 My friend / training partner / client and I just completed the race in Portland on June 30th. Photos to come soon. 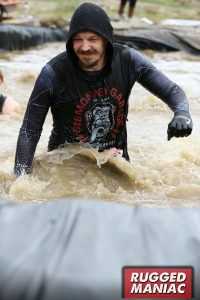 The race itself is a 5K run (3 ish miles) with 25 different obstacles put between you and the finish line. The company introduces new obstacles to keep things fresh while keeping fan favorites in the mix. 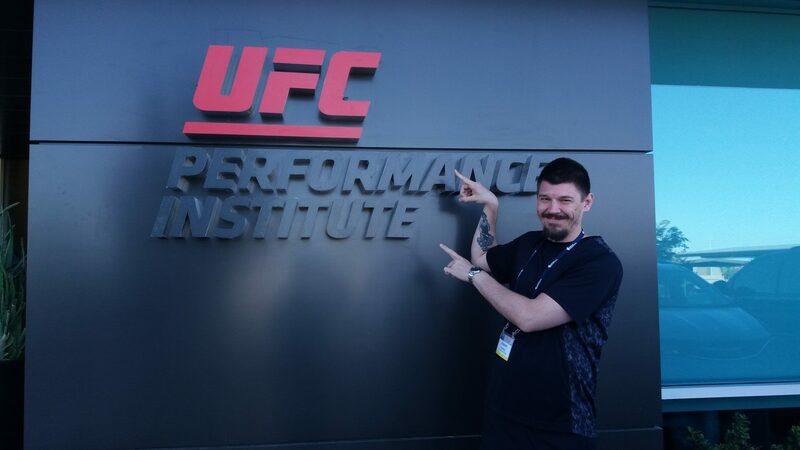 If you’re interested in doing the course, do yourself a favor and sign up early. Super early bird is about 50% the cost of signing up the month of the race and they offer the ability to cancel in the event something crazy comes up and you’re not able to make it. You get a T-shirt, a free can of beer, a sports drink, a protein bar, and a single use after sports sponge (at least that’s what it was in 2018, I think the shirt, beer, and drink are included all years) for the cost of entry as well as free downloads of photos from the event. A lot of the other fun runs I’ve taken part in do not give you free photo downloads so this is a pretty cool bonus. 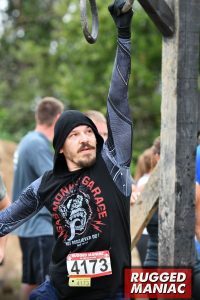 Sports specific training for things like grip strength will come in handy for some of the hanging obstacles but isn’t totally required if you’ll be running in the non elite group. We did the non elite group and wound up falling into the water on the ring swing, which wasn’t the end of the world. I messed up on the first ring, wound up hanging from one arm for awhile, swung to the next ring, then the next then lost my grip and fell. Side note – don’t wear Nike running gloves meant to keep your hands warm but nothing else while doing grip strength activities. I saw a guy put dirt on his hands to try and improve his grip performance. The emotional experience is really what you’re paying for. They have a variety of obstacles to test people’s fears – particularly fear of heights and fear of tight spaces. 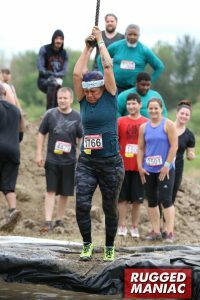 They had one obstacle at this race called Claustrophobia where you had to crawl into a dark hole that was pitch black at one point. I was directly behind a girl who did start to panic in the hole because she didn’t like tight spaces. But her friend in front of her talked her through it. And that’s the magic of this event (and events like it), teamwork. You’re there to do something challenging (the challenge is going to vary depending on your skillset / phobias) with your friends. 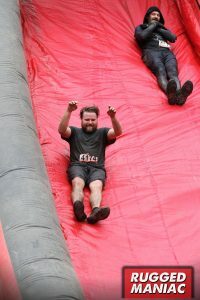 After each obstacle you get a sense of satisfaction that you completed it. I had never tried a warped wall before and was so excited when I made it up the wall. There were people hanging out at the top of the wall with their arms extended to help people up that couldn’t quite make it to the top. There was a guy on another obstacle offering up his knee to people in muddy shoes to get up and over an obstacle that required jumping and pushing strength to get up and over. 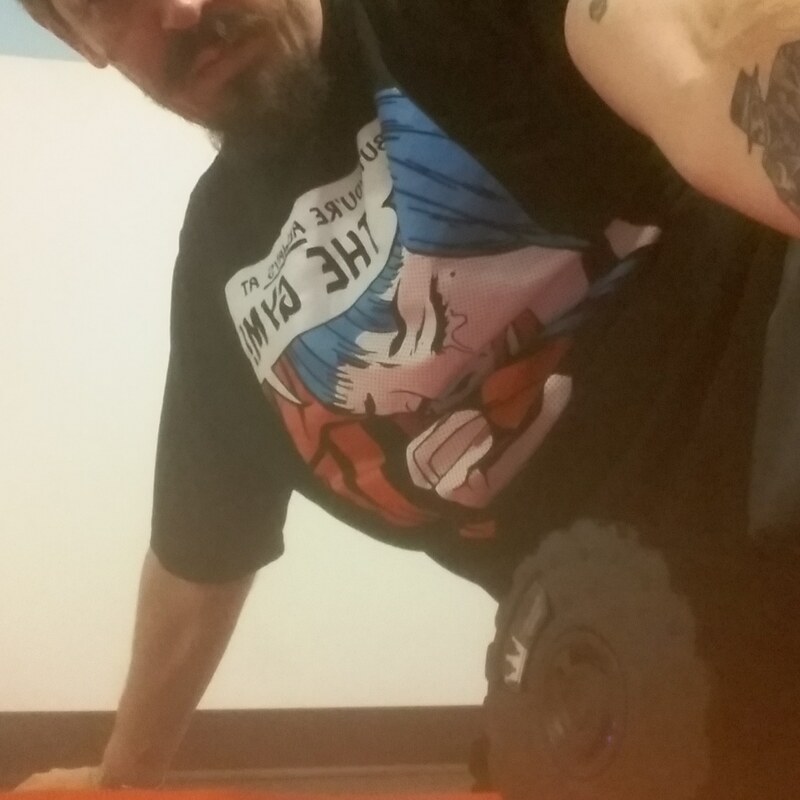 “Teamwork makes the dream work.” Get your friends, coworkers, gym workout buddies, family, etc signed up and go out there and conquer the obstacles. 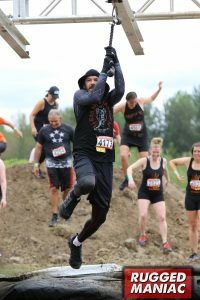 Have fun outside getting sweaty and muddy challenging obstacles that resemble some of the obstacles you’ve seen on American Ninja Warrior. The sense of accomplishment you feel afterwards is amazing. 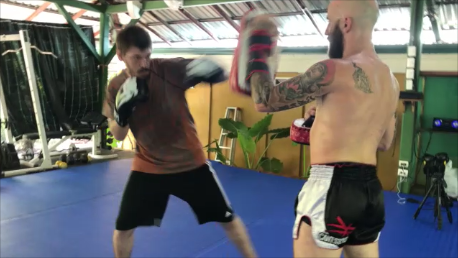 My other class that my friend who did the run with me does not attend Friday evenings and Sunday afternoons focuses more on kettlebell strength routines. Things like swings help improve your grip strength, overall strength and endurance all at the same time. If the gym I do Morning Wellness in had kettlebells then swings would be included in the bulleted list. They have a bag check. Most runs have bag checks, but I wasn’t thinking. I bought 4 jugs of water, threw my shoes and change of clothes into a bag, jumped into the car with my friend then headed to the race. When we got there we realized we had a ton of stuff between the two of us and nowhere to store it so we left in the car. Once we checked in there was a “bag check” tag attached to our numbers. It was ok though. I rinsed off my feet when we got back to the car after the event then changed my shoes and socks. The only bummer being I didn’t donate my shoes to charity. I’ll also repeat the fact that you shouldn’t be wearing running gloves for grip strength exercises. This is a good way to fall into the water but a terrible way to get across obstacles. Kettlebell swings – I love these things and think they’re great for grip strength and endurance. Monkey bars (or rings if you can find them) – Just hanging from the bar will be helpful in case you slip up on the first or second ring (like I did.) You want the grip strength and the upper body strength to get across this obstacle. Sprinting – The frog hop requires the ability to move your feet really quick to avoid going into the water. Being able to sprint quickly comes in handy. Generic jogging / running – Nothing helps with setting pace like running or jogging if you’re doing a run. We jogged the course. If you want to actually run the course then you should be running as part of your training. Turkish Get Ups – Another kettlebell exercise that’s good for entire body strength. I would advise doing these for generic fitness. Standing long jump – There was an obstacle that required standing on about a foot and a half of dirt, jumping across a pit, stopping yourself, then jumping again. I was out of breath by the time I got across. Knowing how to jump (and jump well) will come in handy. Hill Sprints – There are parts of the track that require you to go up hills. It takes less energy to go uphill quickly than slowly. Go run up some hills or do stadium stairs. This will probably hold true of any run, obstacle course race, or event where pictures are being taken – wear an outfit that makes you stand out. Why? Because it makes it easier to find yourself in photos later on. And its fun. I’ve seen plenty of people dressed up at other events so I know others feel the same way I do. You’re out to have fun so why not go the extra mile and dress up. Just make sure the outfit you pick is something you can move in. Can you see me in the background? 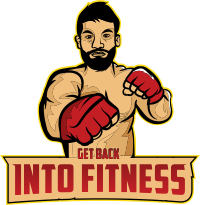 Regardless of your current fitness level, sign up and go have fun. If you have trouble with it your first year then you can set the goal to do better the next year. 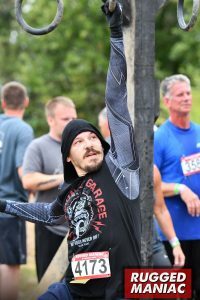 Train for a specific obstacle (or a few obstacles) for the following year. Enjoy the day. Enjoy the track. Enjoy the fitness.